1.In order to be eligible is it necessary to have a sponsor in the US? If I don’t have a sponsor, will I not be eligible for DV lottery? At the time of the interview the applicant must provide to the Consular officer documentary evidence of a sponsor in the U.S, a sponsor is required because during the initial days of entering into the US, you may find yourself in various difficult situations. This is when your sponsor can prove to be really helpful to you. In addition a U.S mailing address is required so that your green card can get posted at that address. The U.S Embassy does not help the applicant to look for a sponsor. 2. How many times can fill up the DV form one person? Each applicant is limited to only one entry at a time in one season; individuals making more than one entry will be disqualified. 3. I am Nepali and my wife is Indian can we fill up the form for the DV? Your country of eligibility will normally be the same as your country of birth however if you were born in a country that is not eligible for this year’s DV program, you may claim chargeability to the country where your derivative spouse was born. If you claim alternate chargeability, you must indicate such information on the E-DV electronic online Entry Form, in question #6. 4. If luckily, I got the diversity visa than, after going to America how much long time does it take to receive American passport? If you are a Legal Permanent Resident of the United States, you may apply for U.S. citizenship after five years of consistently living in the U.S. Only after you are a U.S. Citizen may you receive a U.S. passport. 5. My standard is up to school level but I have good experience about jobs and also good speech, writing and understanding English language. Now I am working in Victory US Military Base Camp Central Baghdad Iraq from 2004 to till date. And I am working here with US citizens. Now if you surprise to select me in Diversity Lottery Visa that’s my fact things & my ability; I lay be my ability works can I get the Diversity Lottery Visa? It is possible to qualify based on your work experience. It is very difficult to qualify on work experience though. You must have worked in a qualifying job for two years within the last five years. Furthermore, only certain jobs qualify. You can check if your work experience qualifies yourself by visiting http://online.onetcenter.org. 6. Does the US government ensure employment to those people getting DV? No, the U.S. government does not ensure employment to those that win the DV. That is why it is very important you have a real sponsor in the U.S. that will help you when you arrive. You will have to find work on your own hopefully with the help of your sponsor. 7. Is it necessary to fill the DV from Consultant? You can fill it out the application by yourself or get somebody’s help, but you are responsible for the application. 8. What are the selection criteria for this lottery? I am outside of Nepal, am I eligible to apply for or not? If you are a Nepali citizen and residing in another country you can apply. The application is online and can be done from anywhere. 9. I mean that I have filled more that 2 times but I have not selected? This is a lottery, selectees are randomly selected. 10. What are the criteria for being eligible for the Diversity Visa Lottery program? If you are a citizen of a country eligible to apply for DV and you have twelve years of education you can apply for the DV. 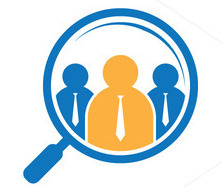 The computer will randomly select individuals from among all qualified entries. 11. Should I submit diversity visa again if I had got 10 years before and I didn’t go to the US on that time? You may apply for the diversity visa every year. It does matter if you did not choose to travel 10 years ago. You may still apply this year. 12. I’m married and have one child and we are from middle class family and my parents die when I was child and my education background is just 10 class passed and so my wife also. Here I worked as sales man and I do plumbing also. We also want to go to America so we are also suitable for this? If the winner has not completed 12 years of education, they must have work experience in an occupation identified by the U.S. Department of Labor. Most of these kinds of jobs require the equivalent of a U.S. university degree. Few people qualify for the DV based on their work experience. If you do not have any of these qualifications, you WILL NOT qualify for the DV and should not proceed with your DV application. 13. Can I apply for diversity visa since my parents are from Nepal but my education has been completed here in India, Mumbai and presently I am staying in India? You have to be a native of one of the countries that are not ineligible to participate in the DV program. Even though you stay out of that country still you are eligible to apply for the DV. 14. I have applied more than 7 times. I couldn’t get EDV. Are there any special criteria to get EDV? The eDV is a random lottery process and the computer selects the winners. There are no special criteria to win the lottery, but please keep in mind that you must qualify for the visa in order to actually receive the visa. 15. I had piercing on my lip, will this acceptable for DV lottery? Body marks have no adverse effect in the application. 16. I’ve heard plenty of rumors here in Nepal but just wanted to confirm if a tattoo in my body could diminish my chances of getting selected in these programmes, please advice. No DV is issued or denied based on a person’s physical appearance. 17. I have been submitting the DV program since 10 years… but still there is no any chance to get… so I am confusing whether they are submitting the document correctly or not? This is a lottery where you a randomly selected. 18. I applied for DV lottery three times unfortunately I did not get lucky to win. Am I still eligible to apply? You may apply for the Diversity Visa every year. It is a random lottery selection process. 19. I have a query on the photo validator. If my picture is validated by online validator, does that mean this is valid or is there a second check? It is very important that required photographs be submitted. The photograph specifications are available onwww.dvlottery.state.gov. 20. I’m 42 yrs old Ex- Army I have no education, may I fill the DV? Anyone may apply for the Diversity Visa, but we recommend that you ensure that you qualify for the visa before paying the immigrant visa application fee. It is possible to qualify based on your work experience. It is very difficult to qualify on work experience though. You must have worked in a qualifying job for two years within the last five years. Furthermore, only certain jobs qualify. You can check if your work experience qualifies yourself by visiting http://online.onetcenter.org. 21. I am in united state but I am in student visa? Can I enter in this lottery program? Yes, you may still enter the Diversity Visa. You can apply online from anywhere in the world. Successful applicants will receive a confirmation number, this number has to be printed and you have to keep it to check the status of your application. 23. What is the minimum academic qualification for DV Lottery? Does high school degree is equivalent to 10+2 in Nepal? Intermediate or certificate level, which is the degree obtained for successfully attending and passing two years in college after ten years of school. Ten plus two that includes twelve years of formal schooling (academic or in special cases vocational). Attendance in a college or 10+2 institute is mandatory to count as twelve years of formal schooling.Private exams taken in lieu of school attendance do not count as twelve years of formal education under the laws of the United States. 24. Should my parents and I apply for DV lottery separately? Each applicant can submit one entry if each of you meets eligibility requirements. 25. I have passed 12 class with first division. I am being confused whether I have to tick in High school no degree or High school. To qualify, you must have successfully completed 12 years of education and have proof of this. If you have passed class 12, you will have completed High School. 26. Qualifying occupations should have Specific Vocational Preparation (SVP) range of 7.0 or higher. By profession I am web developer and I have experience of more the 5 years and also working its SVP is 6.0 to < 7.0 so in this condition I will be eligible or not? As you state, you must have an SVP range of greater than 7.0 to qualify on work experience. If your SVP range is from 6.0 to <7.0, you will not qualify for the Diversity Visa based on work experience. 27. If an individual who won DV lottery apply for DV visa along with his fiancé whom he has got engaged just recently after the DV result has out? If you get married after winning the DV you must advise the Embassy immediately to get your spouse added to the DV. This is the same if you have a baby born after winning the DV. 28. Is it mandatory for a DV winner to submit affidavit form by the sponsor in the US or can he apply for visa just with a welcome letter issued by his sponsor? Just a welcome letter is sufficient. 29. If I win DV lottery shall I be able to take my parents to us as well? If you receive a Diversity Visa, you may not take your parents at the time that you travel to the U.S. However, American citizens are allowed to file immigrant visa petitions for their parents. You will have the opportunity to apply for U.S. citizenship after living in the U.S. consistently for 5 years as a legal permanent resident. 30. Is it true that if I apply for DV, I have less chances of applying for student visa later in case I am not selected this year? No, that is not true. Many people who apply for student visas have also applied for the DV. You have to be able to demonstrate during your student visa interview that you intend to return to Nepal after the completion of your studies. If you are able to convince the Consular Officer that you intend to return, you have credible academic plans, and that you have the money to pay for school you can qualify for a student visa. 31. If someone is studying with temporary resident card in some other countries like Belgium but he is citizen of Nepal. What we should put in the question: “Where do you live today?” Is it Nepal or Belgium? This is about question number 9 of the application form. Where do you live today means the country that you are currently residing. 32. Do you guys select a person by random or by his qualifications and experiences? A computer makes random selections. 33. How can I get a list of lottery winners? The Unites States does not publish a list of lottery winners. 34. How is the DV granted? The DV is a lottery system, you win by chance. 35. What is age limit to apply for EDV? There is no minimum age to apply for the program, but the requirement of a high school education or work experience for each principal applicant at the time of application will effectively disqualify most persons who are under age 18. 36. Should I fill up my parents DV and my DV separately? Yes, both you and your parents should fill out separate DV applications. Each of you should include all of your immediate family members, such as spouse and children, in the application. 37. If somebody is born in village, what he should put in birth city, can He just type the name of village or it will be city unknown. This is related to question number 4 of the application form. You can put the name of the district where you were born. 38. Is it possible to qualify based on our work experience? It is very difficult to qualify on work experience though. You must have worked in a qualifying job for two years within the last five years. Furthermore, only certain jobs qualify. You can check if your work experience qualifies yourself by visiting http://online.onetcenter.org The job range should be SVP range of over 7.0. 39. If I can get DV from US can I bring my girlfriend along with me? If you receive a diversity visa, you may not bring your girlfriend with you on this visa. Only spouses are qualified to receive a visa via their spouse as the primary applicant. 40. I am currently staying in South Korea. Can I submit DV from South Korea? I heard the form filled outside from Nepal is not eligible, what is it actually? 41. In my wife picture there is a cosmetic ‘tika’ on her forehead, I don’t know if that is allowed or not? A ‘tika’ on her forehead is fine. We will accept that photo. 42. How can a DV winner get a sponsor’s affidavit support? Does the American consulate help the winner get one? What are other alternatives? 43. Now even US residents are not getting jobs, in this critical situation how can we get jobs there? The economy is improving, slowly, and with a decent education, some hard work, and a bit of luck, you should be able to find a good job. We have a vibrant and diverse economy in the U.S. where most people are able to find meaningful employment. 44. If someone fills EDV form more than once in a year or season what will happens? You may only apply for the Diversity Visa once per season. If you apply more than once, you may be disqualified. 45. If I have passed 10+2, which options I will select from below? If you have passed 10+2, you have the equivalent of a high school degree, so that would be the third option. 46. What are the requirements of medical aspects? You can pick up the medical requirements for free from the U.S embassy any Wednesday and Friday between 1-3 Pm. They are available in both English and Nepali language. 47. Whoever owns the DV turns to a normal citizenship of US? If so after how long does it take? If not, what sort of citizenship is provided? Upon admission to the U.S you will become a Legal Permanent Resident of the United States, it takes almost five years to acquire citizenship. 48. In my 2017 EDV lottery my date of birth has mistaken, will I not be eligible to the lottery? A mistake in the date of birth will not disqualify you for the visa. After receiving the first letter, you will have an opportunity to correct mistakes in date of birth, place of birth and name. 49. I have a question regarding DV. I met a girl and had recently fall in love with her. I came to know that she has got DV and had applied as a single in her second letter also. But the main problem is that now we are so closed with each other, neither I can leave her nor she can leave me and go to the state. So can we both go to the state after marriage? Please suggest me. DV winners who have got married or had children after the DV registration can apply for that spouse and child. 50. Can I use 1 year old digital photo? As long as it still looks like you. 51. If we got DV then, whether we can continue our study? For example if I am studying BBA (4th semester), can I continue from same in USA? You are welcome to apply to any US college or University when you are in the United States. The college will decide which of your credits will transfer, and it will be your own decision how you choose to continue your education. 52. If we win the DV lottery how much amount need to pay for visa? If you are selected for the DV and are qualified based on education or work experience and passed the medical exam, then you need to pay the non-refundable $330 DV processing fee. There are no other fees that are required. 53. If we selected for DV which documents needed to submit first? Applicants in DV interviews are required to demonstrate that they met the educational or employment qualifications for the DV program when they applied for the DV. Bringing original transcripts and mark sheets from your university or high school (SLC and intermediate or plus two) education will help to demonstrate educational history. 54. Is the Nepalese master degree equivalent to US bachelor or masters level? In regards to the DV program, an applicant is required to have the equivalent of 12 years of formal education. In Nepal this is accomplished once you have completed your +2 or A-levels. In the United States it will be up to the institution you are applying to determine the equivalency of a Nepalese Master’s degree to a U.S. degree. 55. How is the selection process done? Since many organizations like Espot in Kathmandu confirm that they have large number of EDV winner who fill the applicant form over there? The selection process is completely random and generated by a computer. It is not possible for a ‘visa consultancy’ to guarantee that they will have DV winners. 56. I mistakenly filled wrong name of my wife what can I do? That can be amended, please complete the DS 260 form with correct information on the basis of your documents. Mistaken in name, date of birth and place of birth can be corrected in DS 260 form. 57. I am married, right now I have no my wife’s photograph, how to fill the DV form? You must include your wife’s photograph on the original DV application. If you do not, you will be disqualified for the diversity visas. 58. Can anyone apply for diversity visa who are at USA? As a Nepali citizen you are eligible to apply even if you are currently residing in U.S or in another country. You may use your U.S postal address as your temporary address, using the Nepali address does not increase your chance for winning the DV. 59. I submitted the DV form fulfilling all the necessaries but I forgot to save the confirmation code. What can I do for? Or how can I get the confirmation code? The confirmation number is required to check he Entry Status check, this is the only means to see whether you have been selected for the DV. Without the confirmation code there will be no way for you to check the results and see if you received the first letter. 60. Can I fill DV form myself with out any help of consultant? Or should I go the consultant in market? The United States government employs no outside consultants to facilitate for visas. We strongly urge you NOT to use consultants’ services as their assistance does not improve your chances of obtaining a visa. In the past, many DV applicants who sought consultants’ assistance were either cheated or exploited. The consultants usually make unrealistic claims to lure you to apply, and charge you exorbitant rates for services you can perform yourself. If you do not meet the minimum qualifications for the visa, you WILL NOT receive a visa. Please do not waste your time and money if you do not meet the minimum qualifications for the visa. Any consultant that claims that they can improve your odds is lying to you, and is promising something they cannot deliver. 61. I have 3 years bachelor degree and 2 years master’s degree. So do I check on master degree on the application? If you have completed you master’s degree, then you should check that. If you are still working on your master’s degree, then you should check the highest level of education that you have. 62. I have heard that after 2nd letter the winner have to face an interview and he/she has to pay NPR 60000/- per family member as visa fee that is non refundable, if he fails to get visa he/she has to loose these money which are of no negligible for a average Nepali citizen? DV fee is US $330, which is not refundable; this is the fee for Diversity and Immigrant visa charge. 63. I am in USA doing my PhD right now. Can I write my US address as temporary address so that I can do the correspondence from here? Does it increase my possibility of getting DV if I use the Nepali address? 64. Do I need to include US born son in the DV application? You do not need to list any American citizens. 65. If I got DV can continue my further medical education there? 66. We need to show our academic record while filling DV form? No, additional documents are required to be submitted at the time of the interview. 67. I listen if we win DV lottery we need sponsor is it right? That is correct. You need to have a sponsor in the U.S. who can help you get settled when you arrive. 68. Can a spouse of a DV winner apply for visa to accompany him or her to states after the applicant has been issued a visa? No. If you did not list your wife, your husband, or unmarried children under 21 years of age, you are automatically disqualified from the DV regardless of your qualifications. 69. what will happen if our given address is wrong? You should fill out the form accurately and give your address at the time you fill out the form. As previously mentioned, this year, selected applicants will be notified by email, so make sure you give an accurate email address as well. 70. Does higher qualification matters for selection process? The DV winner has to have at a minimum Intermediate or certificate level, which is the degree obtained for successfully attending and passing two years in college after ten years of school. 71. I have won DV2017, my wife is LPR, do I have to put her info on second letter? No, she doesn’t need to be listed on the second letter. 72. What are the essential documents that need to be submitted to the embassy for applying or DV visa besides academic credentials certificates? If selected, you will be provided a list of documents by KCC that needs to be presented at the consular section at the time of the interview. 73. Is there any assistance available for DV winner in order to get jobs? No, applicants who obtain a DV are not provided any type of assistance. 74. How are DV applicants selected in the first round screening as we entered only name, marital status and education in the form? Is there any preference criteria? If selected for first round, how do we need to process our documentations? When will the selection complete? How to apply for visa if selected? And, how do we know where we are going to settle in the US? What will be fate of jobs or higher study in US if selected? It is a randomly generated selection process done by computer. Parts of the requirements are that you have a sponsor in the U.S., so that they are able to help you find work and a place to live. 75. My qualification is SLC, I am working for 14 years as administrator in reputed organization, do I qualify for DV? It is possible to qualify based on your work experience. It is very difficult to qualify on work experience though. You must have worked in a qualifying job for two years within the last five years. Furthermore, only certain jobs qualify. You can check if your work experience qualifies yourself by visiting http://online.onetcenter.org. You need an SVC above 7 to qualify based on work experience. 76. My father is ex-army and his education is just SLC can he apply for EDV program? If the DV winner has not completed 12 years of education, he or she must have work experience in an occupation identified by the U.S. Department of Labor in order to qualify for the DV. Most of these kinds of jobs require the equivalent of a U.S. university degree. You can find out if your occupational experience might qualify for the DV program by going to the U.S. Department of Labor’s job database website at http://online.onetcenter.org/. 77. If the given address is wrong and if we get the lottery how we will be informed? You should only submit the application to a valid email address you have access to. If you are unable to access that email address you will never know if you received the letter. 78. Can husband and wife fill up the form separately, or have to fill by one only? A husband and wife may each submit one entry if each meets eligibility requirements. 79. Currently I am living in Canada as a refugee clamant so can I apply for DV and in case I got selected can I do the further processing from Canada? You should be able to do further processing at the U.S. Embassy in Canada. 80. Is it possible to apply for DV lottery? According to citizenship and academic certificate my name and date of birth are different? Yes, you can apply. However, the U.S. Embassy must be able to verify that you are the same person who completed the educational or work requirements. The DV section here at embassy will make changes as per your current Passport details, but you as the applicant are required to amend the citizenship and academic papers with your correct identity. 81. I have a nine month old son. At the time of taking picture he was laughing. Does that picture also qualify? Yes, that picture should also qualify as long as we can tell that it is he. He sounds like a happy baby. 82. Can the interview appointment date be postponed on the request of the DV visa applicant? The interview is done on the same day as mentioned in the appointment letter. If you happen to miss your appointment you can send us a request for a new appointment date. Please note that visa numbers have to be available at that time. 83. I am unmarried now and planning to get married after 6 months. If I filled first letter form now as unmarried, can I take my spouse to US with me? You can also add your spouse and children later when it is done. Please inform KCC when you got married or had a new child with his/her passport to add the derivative form at CEAC site earlier to your case notification. After the notification you can inform US Embassy, Nepal for unlocking and adding the derivative form at CEAC site. 84. My wife is pregnant but I have filled DV lottery as spouse. If my children will bear, will I get the visa or not? It is not a problem to add children later. 85. How many persons will be selected and what kinds of job will they get in US? USCIS determines the regional DV limits for each year according to a formula specified in Immigration and Nationality Act. Once USCIS has completed these calculations, the regional visa limits will be announced. However no single country may receive more than seven percent of the available DVs in any one year. Applicants who obtain a DV are not provided any type of assistance to find jobs. 86. Is this the last chance for the Nepalese citizen to obtain DV? No, the Unites States offers the DV lottery every year. 87. I am a DV Lottery Winner. One month ago on 2 April 2016 I got married. Can I apply for Visa along with my Wife? If you get married after you are selected for the DV visa, you can add on your spouse. You will need to be prepared to verify your relationship at the interview. 88. Not having a sponsor automatically disqualifies a DV winner? If you do not have a sponsor, you must also have the financial resources to support your visa application, and you must be able to show that you have sufficient financial resources to support yourself and your family in the United States to qualify for the visa. 89. I read in class 11. Can I fill EDV 2017 form? Ten plus two that includes twelve years of formal schooling is the minimum academic qualification required for DV. 90. I have one child 2 years old, when we taken photograph he move any where, what to do? You must submit a photograph that meets the standards and is recognizable at the interview in order for the photograph to be accepted. 91. Qualifying occupations should have Specific Vocational Preparation (SVP) range of 7.0 or higher. By profession I am web developer and I have experience of more the 5 years and still I am working and its SVP is 6.0 to < 7.0 so in this condition I will be eligible or not? It must be 7.0 or higher. 92. How much time does it take to arrive second letter after first letter? This will take a couple of months, but it will depend upon your case number status. 93. If I win DV lottery and get visa, after how many years can my wife get the visa of USA. If you are married at the time of the DV submission, you must include your wife and children, or else you are disqualified. If you have included her, and you are qualified, she will get the visa at the same time you do. 94. What is higher secondary passed option? Intermediate or certificate level, which is the degree obtained for successfully attending and passing two years in college after ten years of school. Ten plus two that includes twelve years of formal schooling (academic or in special cases vocational). Attendance in a college or 10+2 institute is mandatory to count as twelve years of formal schooling. Private exams taken in lieu of school attendance do not count as twelve years of formal education under the laws of the United States. 95. Do I really need to write my step daughter name? As she is already with someone else and I don’t have any contact information now. All children (and stepchildren) need to be listed even if you are not planning on taking them with you. 96. Is the bank balance required for an individual to apply for DV visa? A bank balance is not required for applying for the Diversity Visa. Please do NOT attempt to submit fraudulent documents with your visa application. By doing so, you will be refused a visa and risk being permanently ineligible for any type of visa to the United States in the future. Furthermore, you may be turned over to the police who may take legal action against you. 97. Should we submit academic certificate for DV lottery at the time of visa issuance? Yes, you will need to submit your original academic certificates that the time of the DV interview. We will return them to you, but we must verify that they are genuine. 98. Can Nepali citizen living in US with student visa sponsor for DV winner? No. A sponsor in the U.S. must have the financial means to support the diversity visa applicant. As student visa holders are not allowed to work outside of limited on-campus opportunities, they will not have the financial means to sponsor a diversity visa applicant. 99. I have already submitted my form. If my father apply for DV does again my father need to put my name and photo on child details? If so, than do I disqualify because I have submitted my form already? Yes, your father does need to include you as a child if you are under 21 and unmarried at the time of the entry. This will not disqualify you. You have only applied once as a Principle Applicant and your father has only applied once as the Principle Applicant. 100. Is it necessary to show our bank balance for the further process if I won the DV? No, your bank balance does not matter. 101. Is it necessary to have sponsor from US to obtain DV? It is not so. But the applicant needs to have place to live and eat until he or she gets settled in the US after getting the DV visa. So it would be helpful to have a sponsor beforehand. The DV winner can also live in a small hotel/motel for sometime though, which may not be practical. So it is very important you have a real sponsor in the U.S. that will help you when you arrive. You will have to find work on your own hopefully with the help of your sponsor. During the initial days of entering into the US, you may find yourself in various difficult situations. This is when your sponsor can prove to be really helpful to you. In addition a U.S mailing address is required so that your green card can get posted at that address. 102. Does that mean not having a sponsor automatically disqualifies a DV winner? No, but it is more difficult. You must also have the financial resources to support your visa application, and you must be able to show that you have sufficient financial resources to support yourself and your family in the United States to qualify for the visa. 103. I am an EDV 2017 winner and I have just had my engagement to someone two weeks back through family arrangement. We got engaged just recently so I could not include her name in my 1st form. So can I still apply along with my fiancé for visa together? 104. Do the people get selected by random or do you look for qualified and educated individuals? The computer randomly chooses the individuals that win the lottery portion, but only qualified individuals will receive a visa. 105. How many Nepalese will be selected for edv-2018? USCIS determines the regional DV limits for each year according to a formula specified in Immigration and Nationality Act. Once USCIS has completed these calculations, the regional visa limits will be announced. However no single country may receive more than seven percent of the available DVs in any one year. The Diversity Visa Program has NOT been cancelled or changed; however, Congress is debating changes in U.S. immigration law. If the President signs any changes in U.S. immigration law that affects the Diversity Visa Program, we will pass that information. Selection as a DV- 2014 applicant does not guarantee a visa. At the time of the visa interview, a Consular Officer will determine the qualifications and eligibility for the DV under the laws of the United States. Fees for the Diversity Visa application are non-refundable, even if a visa application is denied. Not listing all family members and their details in the original electronic DV entry will disqualify an applicant. The DV applicant must have the equivalent of at least twelve years of formal education to qualify for a visa. If a DV applicant does not have the mandatory twelve years of formal education, the applicant must have equivalent work experience in a qualifying occupation identified by the U.S. Department of Labor, most of which require a bachelors degree or higher. Few people qualify for the DV based on their work experience. You can find out if your occupational experience might qualify for the DV Program by going to the U.S. Department of Labor’s job database website at http://online.onetcenter.org/. For additional information about the Diversity Visa Program, visit the U.S. Embassy’s web site at http://nepal.usembassy.gov/ or the Department of State’s web site at http://travel.state.gov/. 1. Is there any number of quotas for Nepal? There is no quota for countries. 2. What is the process of DV form filling of just born or newly born baby? As there will be difficult to take and upload photo as prescribed? You must list all existing family members on your DV entry at the time of registration. While it is difficult, that is the requirement. If your child is born after the registration period, there is a process for adding them to your application. 3. What is the age bar for a child to go with their parents, if the father has got DV lottery? 4. What level of English is required for DV slectee???? There is no language requirement for the DV Program. 5. What is the standard age bar to fill DV form? There is no age minimum. You must have the equivalent of 12 years of education-usually SLC and +2. 6. Is there the certain age limitation to be selected in DV Lottery? There is no age limit or minimum. 7. Next yrs dv is remain open or not? The Diversity Visa Program has NOT been cancelled or changed; however, Congress is debating changes in U.S. immigration law. 8. How many people from Nepal were selected for DV 2013? We do not know the total amount selected at this time. 9. I am selected for further processing this year, what should I do further? Unless the officer told you something that you specifically need to do or provide, there is nothing you need to do. We will inform you when the administrative processing is complete. 10. In may 1 I didn’t get the dv lottery and when i have to look again to confirm that i have been selected or not? Entrants should keep their confirmation number until September 30, 2014 even if not selected on May 1, 2013. Additional entries may be selected in October 2013. 11. When will be another dv program open? No future programs have been announced yet. The registration period typically takes place in the fall, usually around October. 12. One of my relative is there in USA. How can she call her married daughter in the USA? There is a separate process for relatives of American citizens and LPRs. Please visit www.travel.state.gov for more information. 13. My girlfriend got dv this time so can i go with her or not? You cannot accompany a girlfriend or boyfriend. Only immediate family (e.g. spouse, child). However, if you get married, she can add you to her application. 14. Is it correct to have no chance for student visa for dv applier? If an applicant has applied for the DV and then applies for a non-immigrant visa (e.g. student, visitor), yes, it can be difficult to qualify because you have demonstrated a desire to immigrate to the U.S.
15. I am not selected for the first selection can I wait for second selection? I am married man and having 3 children already but due to an unavailability of their photos and date of birth I was unable to mention their names and details in the online EDV Entry Lottery form. So, I mentioned myself unmarried there. I kindly apologized for that. Now I got letter from KCC (1st letter). Can I now include their details in DS 230 (1st letter form), and to fill up their forms also? Can I now make me as a married man and a father of child? Or, to go ahead being myself as an unmarried (but in fact I am married)? Otherwise what to do ahead? Family members not included on the initial entry may cause the case to be disqualified. Extenuating circumstances such as; you have been married or had a child after the initial application submission may be acceptable. If you meet either of these circumstances a photocopy of the marriage and/or birth certificate, along with English translations, should be provided with the completed forms. If you need to obtain additional DS 230 Parts I & II forms, you may download them at: http://www.travel.state.gov/visa/frvi/forms/forms_1342.html. A spouse and/or eligible children, unmarried and under the age 21 must have the above forms completed and returned before KCC can make the necessary adjustments to your case. KCC will accept this information via postal mail, email, or fax. Information received at KCC after interview scheduling will be forwarded to the Embassy or the applicant may carry this information with them to their interview appointment. Can we mention all the children of all ages like below 21 years and above 21 years in DS 260 form? ü Yes, every child that you have no matter what their age. I am a dv winner of this year 2015 from sindhupalchok, case no. 2015AS00004383. i need your kind help for completing the online DS 260 form. i have some questions which aroused confusion as follows, please kindly suggest me. Do I need a passport right now to complete the form, as there is field for Passport/other travel document? How to type the name in Native Alphabet / or, can we simple leave this field? Do I require the permanent address in the USA where I intend to live? If I don’t have anyone right now what can I do? We cannot assist you regarding your inquiry. A passport is required for visa processing, and is therefore required when completing the DS-260. If you do not yet have a passport, please wait until you have the required information before submitting the DS-260 form. Waiting to fill out your DS-260 should not affect your interview date, as appointment dates are set based upon your case number becoming current. (Further details about what this means are available in the Visa Bulletin on www.travel.state.gov.The first appointments will not begin until October 2014, so there should be ample time for you to provide your information in time for a consular interview. You must provide Permanent Address Information on the DS-260, indicating where you intend to live in the United States. If you do not yet know your permanent address in the United States, then please provide a temporary address. You can update the address at a later time by contacting [email protected] to have your DS-260 re-opened, or you can update the address at the time of your interview. Thank you for contacting the Kentucky Consular Center (KCC). As stated in the instructions for DV-2015 applicants, the DS-260 Immigrant Visa and Alien Registration Application will be available for DV-2015 cases beginning on May 19. Prior to that date, you will not be able to access the form with your case number. Please try again after that date. All DV-2015 applicants must fill out the online DS-260 Immigrant Visa and Alien Registration Application, which can be accessed in the Consular Electronic Application Center (CEAC). Paper forms are no longer accepted. Instructions for diversity visa applicants are located at www.DVSelectee.state.gov. Please be sure to follow these instructions carefully. Failure to follow the instructions can cause significant delay in processing your case. If you continue to have difficulty accessing the DS-260 after May 19, or if you need to contact KCC directly for any other reason, please refer to your name and case number exactly as they appear in the Entrant Status Check (ESC). Include your case number in the subject line of your e-mail. The KCC telephone number is 606-526-7500 (7:30 a.m. until 4:00 p.m. EST). The e-mail address is [email protected] . Interviews for the DV 2015 program will begin October 1, 2014, and process through September 30, 2015. All DV 2015 cases must be completely processed by September 30, 2015. Prompt response in completing the required form will allow ample time for necessary processing. KCC is not authorized to assist you with this issue. Please contact the American Embassy/Consulate with jurisdiction over your area for further information. Support Contractor – Serco Inc. Hence i became unable to log on the page. moreover, i think, it might have been mistaken in the date of birth entered in initial entry, which i forgot now. so, how can i retrieve the date of birth filled in initial entry. in this case what to do ahead? If you are trying to access the DS-260 and receiving an error message stating that your date of birth is incorrect, it is because the date you are entering does not match the date from your original DV-2015 entry form. To access the DS-260 you must use the date of birth you used when you submitted your original electronic entry in October or November of last year. The Kentucky Consular Center cannot provide this information for you. Please be sure that you are selecting the correct day, month and year, in the format required by the form. If the date you are entering is your correct date of birth, it is possible that you made an error in your original entry. If you do not know the date you used on your original entry form, you will not be able to access the DS-260 application. The DS-260 is required for visa processing in the DV-2015 program. Paper forms will not be accepted. What is the solution in this case? How could i access the ds 260 form as i am one of the dv winner? we are Nepali native and usually we use our Nepali date (B.S.) to all our documents rather AD. while entering in the form we convert BS to AD and sometimes it happened wrong. i forgot what date i entered in the original entry form. what is the way out. how can i retrieve that data from original entry. please help me! you have made an important option “forgot confirmation no” to those people who lost confirmation no. then why you couldn’t solve this problem too? Kindly please help me! KCC is not authorized to assist you with this issue. I made mistake in my date of birth in initial online lottery. How to complete the DS 260 form? Should I use same mistaken date of birth / or accurate date of birth according to passport or other documents? Please fill out the correct date of birth in DS-260 form. Please mention your error to the IV unit when you come for your interview. KCC does not have the ability to retrieve or make changes to the data that was provided on the original entry to the lottery. Please complete the DS-260 form with the correct information. Once received at KCC, the information will be included in your case file for review. I am a DV winner 2015. I was single while entering the online DV lottery. But now I have gotten married. What to do now for the further processing? Could I change my marital status as “married” now? Could I include my husband in ds 260 form now? Need i give any notification of married to kcc/ or us embassy by email now? Diversity Visa (DV) selectees who were married after the DV registration may include their spouse at the time of DS 260 completion by adding the derivative in CEAC site. Please submit the Form DS-260 for your spouse and take her/him with you to the interview along with the necessary documents. Your status will be verified by the consular on the base of your documents at the time of Interview. No it will not be reduced. I have not completed my high school yet but it will be completed within few months. Am I eligible for Diversity Visa lottery – 2018? My high school will be completed by June 2018. However, I am applying now (November 2017). I have passed +2 and and my wife has passed 10 only and have 2child and can I apply with family fo edv lottery.